I read a lot of weird old comics for work, and every time I see one of those bizarre moments from the Golden Age, I think "the only way this panel could be better is if I could somehow eat it." Either way, it's a fun project that's worth supporting if you're into comics and baked goods, although I'm surprised that her list of rewards doesn't include an ultra-premium level where you could get an entire Golden Age story printed in tasty cookie form. 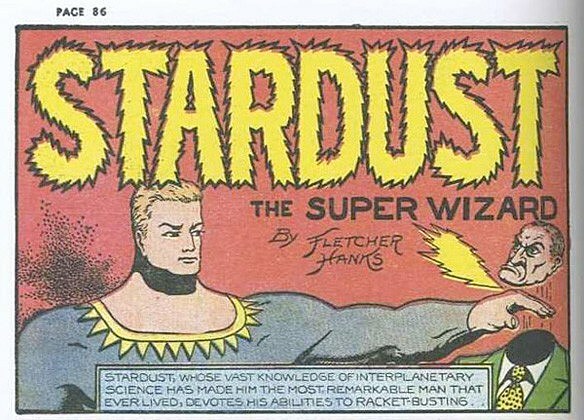 I'm not sure how much it would cost, but let's be real here: I would go to the bank and take out a loan right now if the end result was me getting an edible Stardust the Super Wizard story. Interplanetary Science makes everything taste better. Especially decapitating karate chops.